Ben is a Lead Backend Engineer, working with our corporate clients such as Microsoft, NBA, VH1, and MTV. Ben got started in the web development game in the mid 1990s with good ol’ HotDog HTML Editor. Early on, he was building websites hosted on Geocities for small business and friends. Over the next few years, Ben became very active in the open-source world via forums and IRC. He was one of the top contributors in the PHP and MySQL rooms on freenode, as well as active with several other projects. 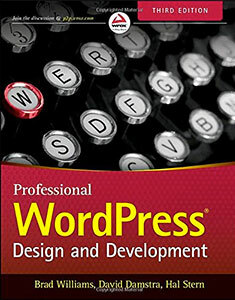 After years of building complex proprietary content management systems, WordPress revealed itself. At first, Ben thought of it as just another tool in the belt, but as it matured, WordPress evolved into the tool belt. After moving to Seattle, Ben became heavily involved in the WordPress community as the organizer for the Seattle WordPress Meetup, a WordPress.org Plugin Developer Handbook editor, and the organizer for the Seattle WordCamp, which boasted 500-700 attendees. In his non-WordPress life, Ben has two major passions: sailing and coaching. On the sailing side, Ben owns a 36’ sailboat that he actively cruises and races. He does pretty well racing, usually leading his class. Next time you are in Seattle, hit Ben up. He would love to take you sailing! Outside of sailing, Ben is a certified coach through the John Maxwell Team, where he provides executive coaching for businesses, hosts team-building events, and speaks on topics of leadership and personal growth.